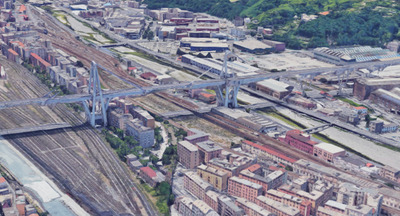 Twitter/Google Maps/Business InsiderThe bridge in Genoa before and after the collapse. 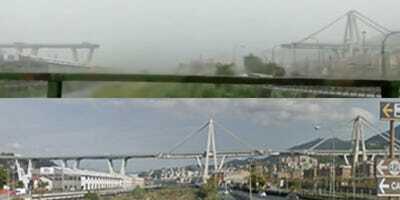 A huge highway bridge collapsed in Genoa, northern Italy, on Tuesday morning. At least 39 people are confirmed dead. 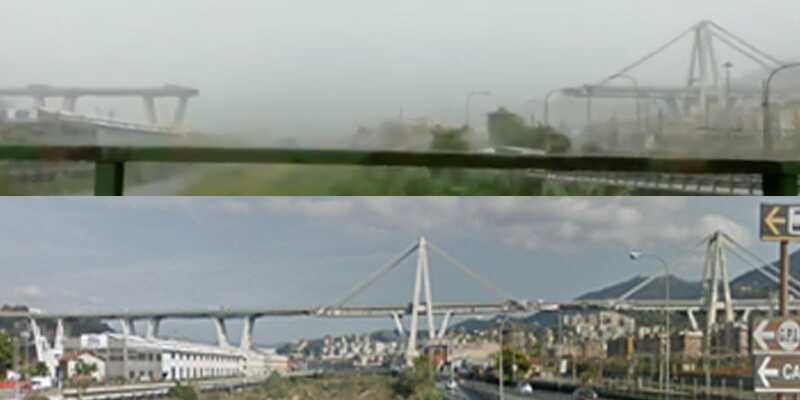 Before-and-after photos of the bridge show the striking nature of the disaster. A highway bridge collapsed in northern Italy on Tuesday morning, killing at least 39 people. 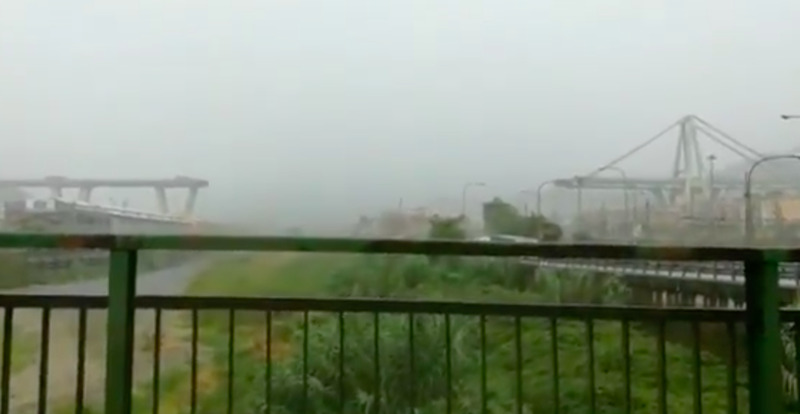 A section of the Morandi Bridge in Genoa measuring about 262 feet long, and located 164 feet above ground, gave in around 11:30 a.m. local time. The cause of the collapse remains unknown. Startling photos of the scene show a large portion of the bridge missing and mounds of rubble collected underneath. Google MapsThe Morandi Bridge before the collapse. 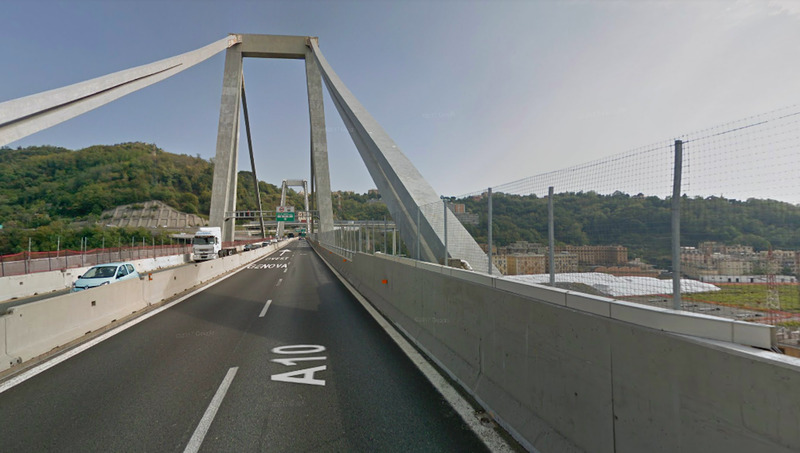 Twitter/Polizia di StatoA reportedly 656-feet-long section of the bridge collapsed. 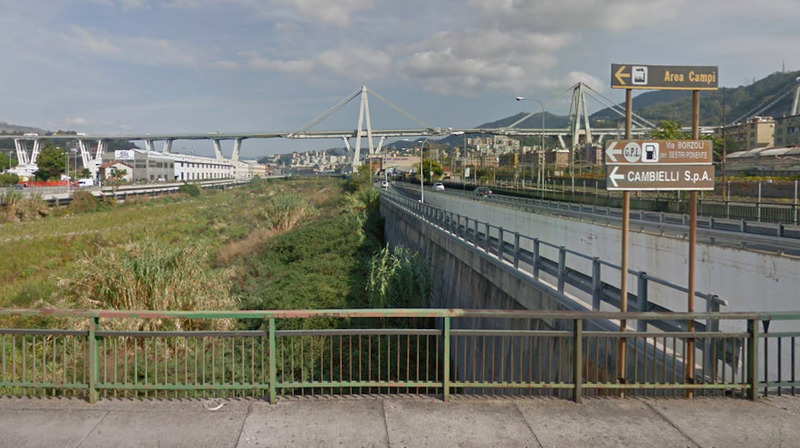 Photos now show the two ends standing, and a huge gap where much of the road used to be. Smoking rubble also stands where buildings used to be. Google MapsThe view driving over the bridge. Police shared a photo from a similar position, showing collapsed debris and the missing section of the bridge. Emergency services worked overnight on the scene and continued to work on Wednesday. For full coverage of the collapse, click here.